In the UK and Australasia, women account for just 11% of consultant surgeons despite the fact that approximately 60% of medical students are women. Women are at least as able on entry to surgical training but only a minority complete it, indicating a deep-rooted issue in the discipline. Professor Tim Dornan from the School of Medicine, Dentistry and Biomedical Sciences at Queen’s University Belfast explains: “Previous research has assumed that those who continue to train as surgeons can provide answers to this vexed question. This is fraught with problems when so many senior surgeons are men. This was novel, first, because a young female surgeon did the research, and second because she asked those who know best – women who had chosen to leave. “It is already known that young surgeons endure fatigue, long working hours, difficulty taking time off, strains on personal relationships, and bullying. By analysing ‘leavers’ experiences in depth, we were able to show how these factors discriminated selectively against women. One female former surgical trainee told how she was denied time off to care for her child when a male counterpart was given time off. Dr Rhea Liang, Female Surgeon and Principal Researcher at the Gold Coast Health, comments: “This is just one example of women being treated differently. A number of initiatives have been taken to bridge the gender gap and retain women in the profession, which have been ineffective as the gender gap prevails. 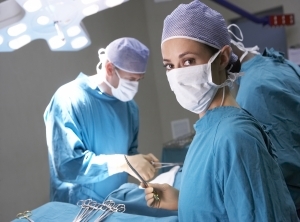 Professor Nestel of Melbourne University, also a member of the research team, said: “Female surgeons experience a wider identity gap between being a member of society and being a surgeon. This has been addressed by trying to improve the situation for women, which risks leaving women feeling even more ostracised. “In other words, well intended but ill-informed initiatives may have unintended consequences that aggravates the very situation they are trying to improve. This edition highlights that gender equity in science is not only a matter of justice and rights but is crucial to producing the best research. By publishing new evidence, commentary and analysis, the journal calls on researchers, clinicians, funders, institutional leaders and medical journals to examine and address the systemic barriers to advancing women in science, medicine and global health.